The Noncustodial Parent Visitation Rights Law went into effect on November 1, 2014, and allows noncustodial parents a somewhat simpler way of enforcing their custody schedule when it isn’t being followed by the custodial parent. 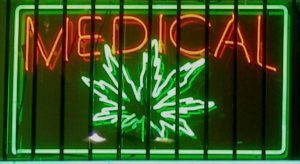 The new law amends Oklahoma statute 43 O.S. § 111.3, and provides an almost Small Claims Court type procedure that begins with the filing of a MOTION FOR ENFORCEMENT OF NON-CUSTODIAL PARENT VISITATION RIGHTS. The motion must detail the visitation schedule violations and requires that a hearing on the request be scheduled within 21 days, but it could be much sooner in some counties. Any other remedy the court considers appropriate, which may include an order which modifies a prior order granting child custody. In any event, the Court is required to assess reasonable attorney fees and court costs to the prevailing party on the motion for enforcement of visitation rights. This means that the custodial parent having to respond to the motion may recover her counsel fees if the motion was not well founded. The new law includes sample forms noncustodial parents can use in lieu of hiring an attorney. This week I was able to obtain a dismissal of a foreclosure case filed in 2011 after my client successfully completed his loan modification. He just needed some time, and that is what I was able to obtain for him. And never before has the expression “If I could just buy some time” meant so much. When facing foreclosure homeowners need time to discover their options, analyze their situation and implement an action plan. The most precious commodity is time…And it’s running out. However, there are various ways that an attorney can get you the time you need. Sometimes, as in a recent case, it is as simple as filing an Answer to the Petition and requiring the foreclosing lender to actually prove that it is the proper Plaintiff to bring the case. If it isn’t a Dismissal Without Prejudice is appropriate. Other times, as in another recent case, deficiencies in the Lender’s Motion for Summary Judgment can be identified, and the Judge may issue an Order denying the Lender’s Motion for Summary Judgment. Homeowners’ options are changing because of the magnitude of the housing problem. 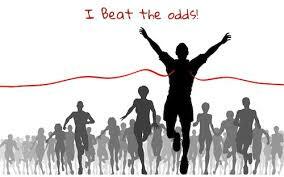 There is a chance to work things out with the lender if the homeowner fights for that chance. More banks are willing to work with borrowers today simply because they really can’t manage the huge backlog of homes which have already been lost to foreclosure. If the borrower can present a viable plan to repay the loan, the chances of retaining home ownership are pretty good. • Obtaining the modification package: Getting a loan modification package in the mail can take anywhere from a few days to a few weeks, depending on how long it takes to get a hold of the right loss mitigation manger, and of course, how many other modification requests being considered at the moment. Lately, the attorneys for the foreclosing lenders have been willing to forward the applications directly to the attorney for the homeowner. This can speed up the process. • Submission of the loan modification package: It should take a week to fill it out and get it back to the lender with all the requested documents. • Underwriting and internal auditing: Once the lender receives the modification package, they will check it over for mistakes, and then send it on for an in-depth review. Assuming that no questions arise regarding the paperwork, this should only take a few days. • Assignment to a mitigation specialist: After being reviewed by the underwriters (which can take another week or two), the matter will be assigned to a loss mitigation specialist who is authorized to make the final decisions regarding the loan modification request. • Decision and mitigation process: One of the longest parts of the process, this step can take several weeks as the loss mitigation specialist reviews the request and begins negotiating new loan terms. It may take a week or two or even a month or two to complete – that really depends on the specialist’s case load. • Completion of the new loan: Once the modification request is approved, the lender will send a packet to fill out and sign within 3-5 business days to complete the modification. Getting a loan modified can take several weeks to several months to complete. The key is being pro-active and patient, all at the same time. 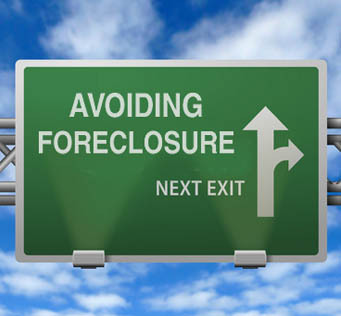 A foreclosure defense lawyer is necessary to handle the foreclosure case, but homeowners don’t need to hire an expensive company to do their loan modification. 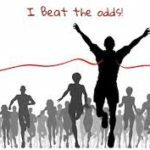 On the contrary, doing the loan mod, or a short sale, yourself while your attorney defends the foreclosure case may lead to a better result and thousands of dollars saved. 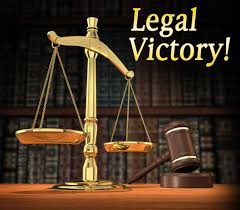 I am pleased to announce that I have another appellate court victory. This time in an unreported case where I was hired only after the homeowner had already had judgment granted against him by the trial court. 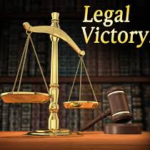 Victory on appeal in DELMAR BYRL GARRETT vs. CARLOTTA GORDON, 2013 OK CIV APP 96 (June 12, 2013). DELMAR BYRL GARRETT vs. CARLOTTA GORDON, 2013 OK CIV APP 96 (June 12, 2013). Plaintiff/Appellant Delmar Garrett (Delmer) appeals the September 13, 2011, Journal Entry Order of the district court denying his Motion to Vacate Void Judgment, Vacate Partition Order, and Emergency Motion to Stay Sheriff’s Sale. The judgment sought to be vacated was entered in a divorce suit in which Delmer was named as a party. Because the judgment roll in the divorce proceeding shows that the district court had personal jurisdiction over Delmer at the time the judgment was entered, he is bound by the terms of that judgment. Therefore, the district court correctly denied Delmer’s motion to vacate and we affirm. Posted in Firm News, Legislation & Case Notes, Real Estate Law | Comments Off on Victory on appeal in DELMAR BYRL GARRETT vs. CARLOTTA GORDON, 2013 OK CIV APP 96 (June 12, 2013). OKLAHOMA CITY – Attorney General Scott Pruitt Monday announced the opening of Phase II of homeowner compensation from the Oklahoma Mortgage Settlement Fund. The deadline to apply is Dec. 31 for Oklahoma families who were harmed during the mortgage modification or foreclosure process with five mortgage servicers involved in the settlement. The new phase also extends the time frame for when harm occurred to include 2012. An updated application is available at www.oag.ok.gov or by calling (405) 521-2029. “Fortunately for Oklahoma, we are the only state in a position to help our homeowners with direct meaningful relief,” Pruitt said. 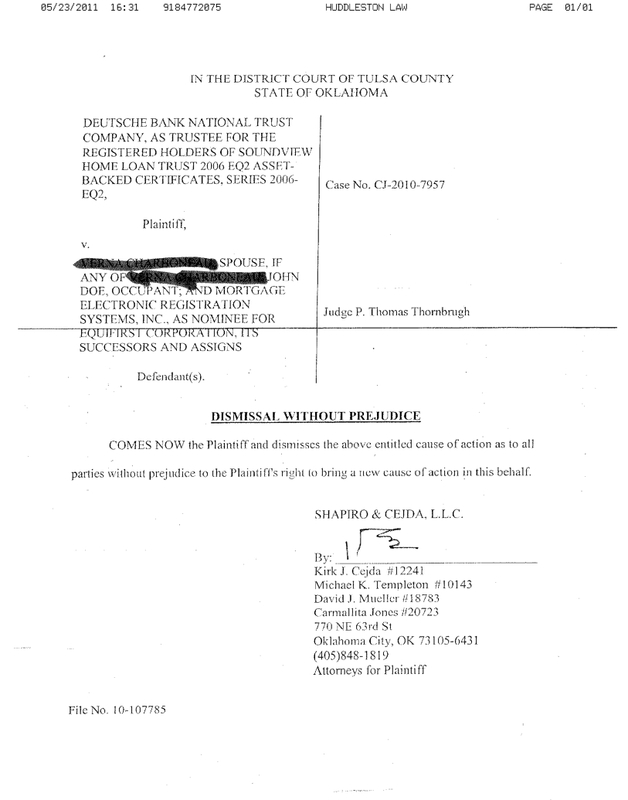 “By launching a Phase II for compensation, we can help those families who may have missed the deadline last year or who were not aware of the opportunity.” Oklahoma was the only state to craft its own agreement with Bank of America, Citigroup, JP Morgan Chase, GMAC and Wells Fargo, which allowed the Attorney General to provide direct compensation. In October, the AG’s Public Protection Unit, which manages the state settlement, mailed the first installment of checks to more than 100 Oklahomans. The amount awarded to Oklahoma families ranges from $5,000-$20,000 – a maximum that could be more than 20 times the money awarded under the federal settlement. 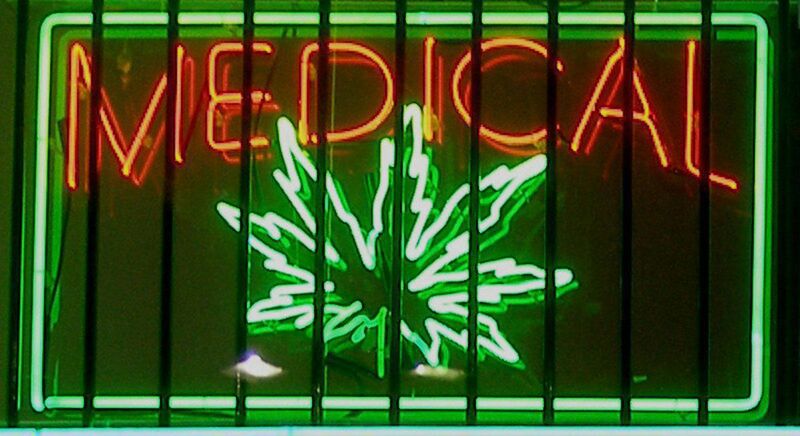 The latest estimate shows residents in other states could receive as little as $840, and no direct payments have been made under the federal settlement. “It is very exciting to be able to provide these Oklahoma families some meaningful relief for the harm caused,” Pruitt said. More than 700 Oklahomans applied for relief from the Oklahoma Mortgage Settlement Fund during Phase I, with an average payment so far of $11,173. Along with direct payments to residents from the Oklahoma Mortgage Settlement Fund, Oklahomans also qualify for portions of two federal settlements. The first federal settlement requires banks to work with homeowners on short sales, principle write-downs and mortgage modifications. So far, Oklahomans have received an average of $30,737 in mortgage assistance with this settlement. A second federal settlement from the U.S. Department of Treasury’s Office of the Comptroller of the Currency is providing direct payments of $300 to homeowners who qualify. For Oklahomans who are still in their homes and need help to avoid foreclosure, the AG’s Office has created a program called Resolution Oklahoma that provides free legal assistance. Assistant attorneys general have found that homeowners have better outcomes during the mortgage and foreclosure process when they have legal representation. The first part of Resolution Oklahoma is in partnership with Legal Aid Services of Oklahoma to provide free legal assistance for lower income and older Oklahomans. The program is provided by a grant from the Oklahoma Mortgage Settlement Fund. The second part of Resolution Oklahoma is for homeowners who do not qualify for income-based assistance. These homeowners can apply for a voucher worth up to $5,000 in legal services through the AG’s Office. The voucher application must be completed by homeowners and their attorneys of choice and submitted to the AG’s Public Protection Unit for approval. Once approved, the attorneys will provide the services needed and submit the invoices to the AG’s Office for payment after the work is complete. All homeowners can apply for assistance through Resolution Oklahoma, no matter their mortgage company. Voucher applications are available online at www.oag.ok.gov, by e-mail at PublicProtection@oag.ok.gov or by calling (405) 521-2029. 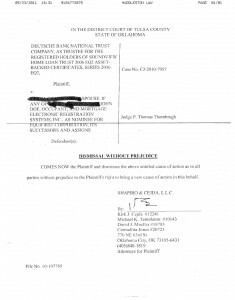 To contact Legal Aid Services of Oklahoma, call (888) 534-5243 or go online to www.oklaw.org. For more information on the Treasury federal settlement, call 1 (888) 952-9105 or go online to www.occ.gov/topics/consumer-protection/foreclosure-prevention/correcting-foreclosure-practices.html. OKLAHOMA CITY – The Attorney General’s Office and Legal Aid Services of Oklahoma (“LASO”) are providing free legal help to homeowners who are facing mortgage issues or foreclosure, and Huddleston Law Offices has been retained by LASO to assist and consult with LASO staff and homeowners that call LASO. The program – Resolution Oklahoma – is designed to help Oklahoma residents stay in their homes or seek the best outcome for their situations. 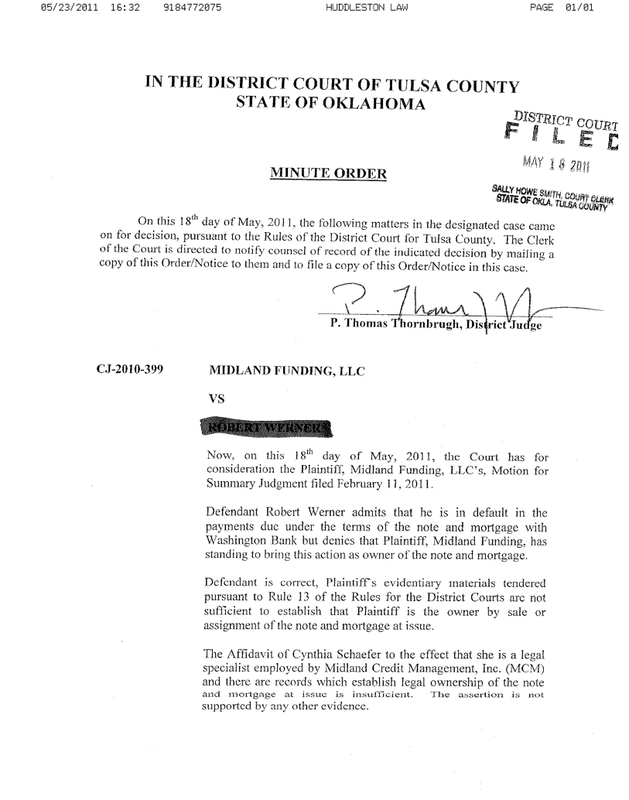 The program is provided by a grant from the Attorney General’s Oklahoma Mortgage Settlement Fund. The fund was created last year, following a settlement by the AG’s Office with five of the nation’s largest mortgage servicers. Mortgages do not need to be with one of the five servicers to apply for the Resolution Oklahoma program. Oklahomans with lower incomes or seniors should first contact Legal Aid Services of Oklahoma to determine if they qualify for income-based assistance under Resolution Oklahoma. Homeowners who do not qualify for income-based need from LASO can then apply for a Voucher worth up to $5,000.00 in private attorney legal services through the AG’s Office under the Resolution Oklahoma program. The voucher application must be completed by homeowners and their attorneys of choice and submitted to the AG’s Public Protection Unit for approval. Once approved, the attorneys will provide the services needed and submit the invoices to the AG’s Office for payment once the work is complete. Voucher applications are available online at www.oag.ok.gov, by e-mail at PublicProtection@oag.ok.gov or right here: AG Financial Aid Application. After House Bill 1603 Was Found Unconstitutional, Is 12 O.S. §2056 Still Good Law? An interesting point of law (at least to me) came up at a hearing today. “Summary Judgment” (12 O.S. §2056) is a new statute added in 2009 by House Bill 1603 §17, also known as the “Comprehensive Lawsuit Reform Act of 2009“. That Act was recently found to be unconstitutional for violating Oklahoma’s ban on “logrolling” legislation. See my last blawg post on the Act. Section 2056 adopts the summary judgment standard of Federal Rules of Civil Procedure Rule 56. The new statute requires that a motion for summary judgment be granted if the court finds no genuine issue as to any material fact (gone is the “no dispute as to any material fact” standard) and that the movant is entitled to judgment as a matter of law. If a paper or part of a paper is referred to in the movant’s affidavit in support of summary judgment, a sworn or certified copy must be attached to or served with the affidavit. Section 2056 therefore limits the availability of Rule 13(c) of the Rules for District Courts where certified copies of evidentiary material are not attached to the affidavit. 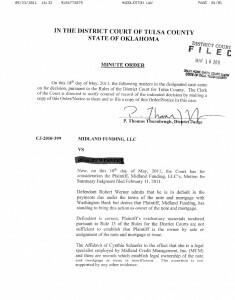 MIDFIRST BANK v. WILSON, 2013 OK CIV APP 15, 295 P.3d 1142. 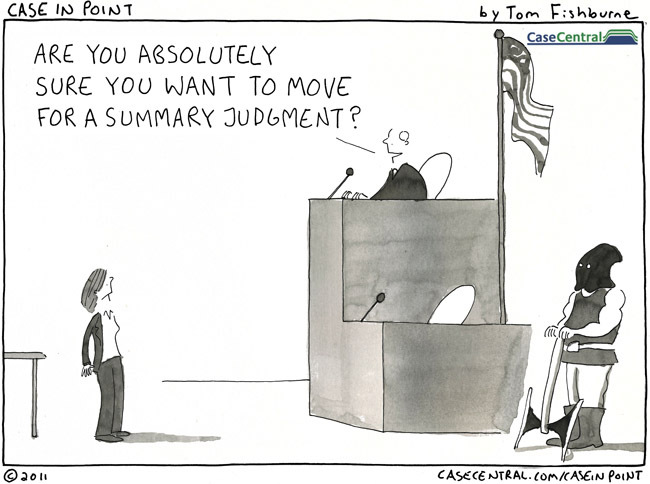 In responding to a motion for summary judgment properly made and supported, an opposing party may not rely merely on allegations or denials in its own pleadings to defeat the motion. Rather, its response must, by affidavits or as otherwise permitted, set out specific facts showing a genuine issue for trial. In addition, if judgment is not issued on the whole action, the court is required to the extent practicable to determine what material facts are not genuinely at issue. The court should examine the pleadings and the evidence before it and interrogate the attorneys to make its determination of the material facts not at issue and then issue an order specifying what facts, including damages, are not genuinely at issue and such facts must be treated as established in the action. Finally, the court is permitted to enter interlocutory judgment on liability alone even if there is a genuine issue on the amount of damages. So, after House Bill 1603 was found to be unconstitutional logrolling legislation, what is the status of 12 O.S. §2056? Fortunately, the impact of voiding the Lawsuit Reform Act is mitigated in this instance by a new law passed since the now-defunct 2009 Act. That law is Senate Bill 940, effective November 1, 2011, which remains enforceable. 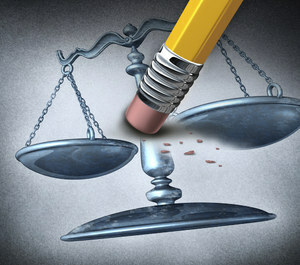 Posted in Firm News, Legislation & Case Notes | Comments Off on After House Bill 1603 Was Found Unconstitutional, Is 12 O.S. §2056 Still Good Law?